I just love this photo. 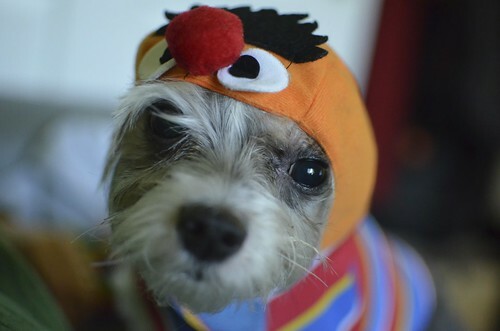 There is something so cute about Etta May in the Ernie costume. This did not last long. She tried to get out of it as quick as she could. I was lucky to get this photo. Often Juanita is not willing to sit still for a photo.